Tiny Tunemakers takes the power of music to the next level. 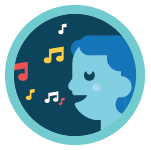 Our curriculum empowers classroom teachers with tools to intertwine music throughout their curricular instruction and daily routines. We'd be happy to send you a customized quote for your organization. Fill our our simple form and we'll reach out.